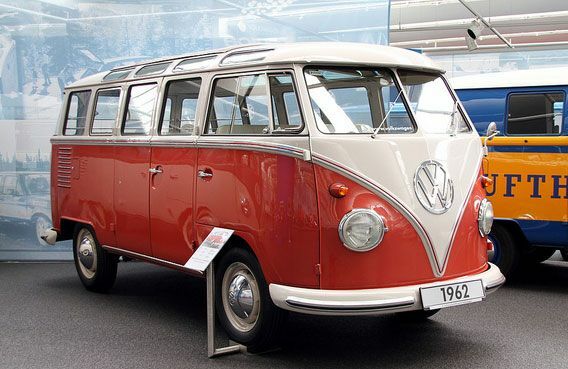 The VW‘s popular commercial vehicle is celebrating its 70th anniversary, The Samba bus called model was the first generation of the Transporter series, whose production was in Brazil in the last years, and the second generation production was completed in 2013 – also in Brazil. The Transporter generation already in the 6th generation, which is still the one of the best on the commercial vehicle market. 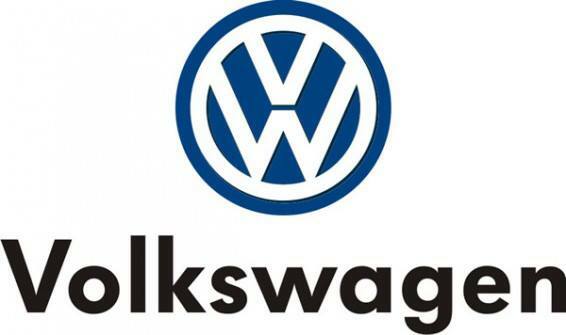 The VW Transporter is currently available under three names for customers, one of which the luxury version called Multivan, the traditional passenger version called Caravelle, and the working version called Transporter. It is not necessary to use the factory Transporter, which ABT offers many tuning accessories. The 500,000th T6 recently rolled off the belt, which ABT Sportsline celebrates with a representative new wheel, which also fits the predecessor T5: the GR with an impressive 9.0x20 inch size. Customers can choose between two finishes: "glossy black" with diamond-machined rim flange or "matt black" with diamond-machined surface. But you can also choose the DR ("mystic black") wheel set in 19 inch (just smaller size) as an alternative. 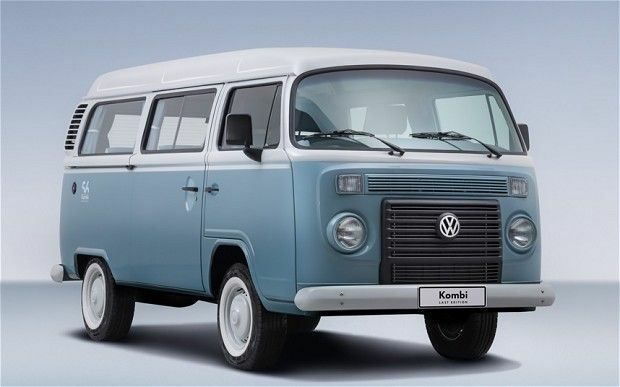 A comparison with the original dimensions of the VW T1, which usually had 14 or 15 inch wheels fitted, illustrates the progress. 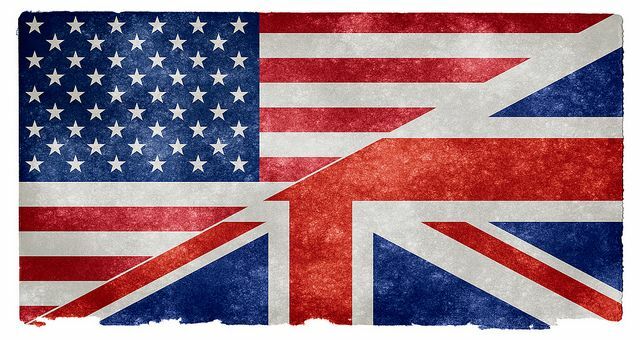 Which of course is not limited to the wheelhouse – tuning or not. Lifting the engine cover at the rear of the original model revealed a modest 25 HP. Today, the diesel and petrol production engines deliver up to 204 HP (150 kW), which would have been enough for a supercar in the 1950s. ABT Sportsline, of course, goes one step further, so that the final engine power is almost ten times that of the early VW T1. Thanks to the specially developed ABT Engine Control (AEC) unit, the 2.0 TSI reaches an impressive 240 HP (176 kW). The two-liter biturbo diesel with the same original specifications boasts 235 HP (173 kW). 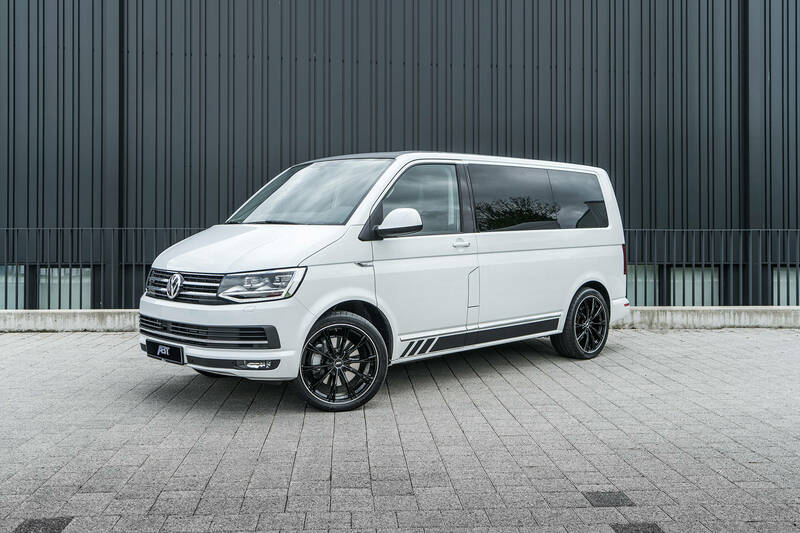 The VW T5 and T6 are generally very popular tuning objects, so that ABT Sportsline sees a great demand for accessories. 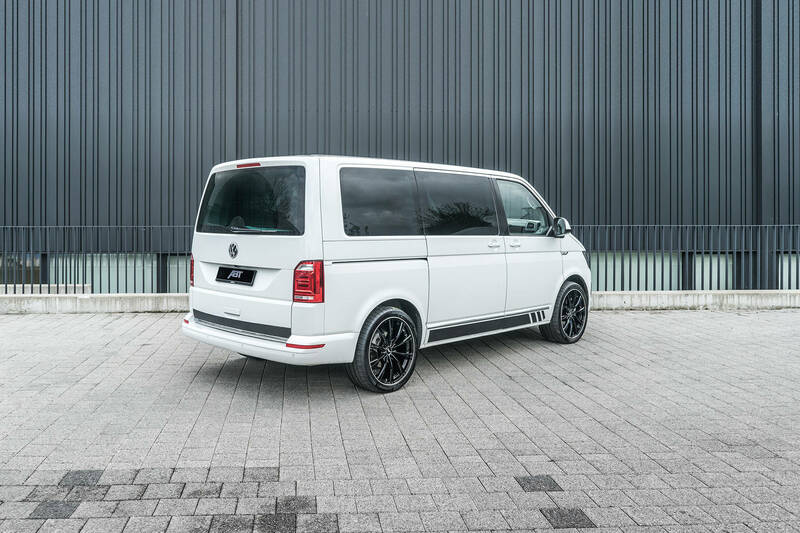 Thanks to the wide range of products, the minibus is just as versatile regarding styling and performance as when it comes to its possibilities for commercial use. The comprehensive, modular aerodynamics package from ABT Sportsline includes front skirt add-ons, front grille add-on, side skirts for short or long wheelbase, a rear skirt set including rear muffler and even a rear wing. When you see a T5 or T6 decked out like this, be careful. For many of these "express buses" have a cracking suspension in addition to a powerful engine: Depending on the selected wheel option, the ABT Sportsline range offers anything from simple lowering springs to a complete coilover option.